it is for Eurodiaconia members to share with others about their work with local Roma communities. 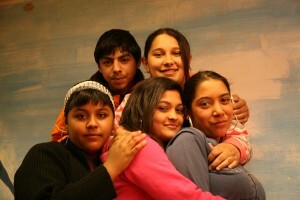 For this reason Eurodiaconia established a Roma Network in 2009, and the Network has been growing and developing. The Network meets annually but we also send out a monthly Roma Network e-news covering Roma specific EU policy news, events, calls for proposals and resources and publications. If you have information to share with the Network such as an event announcement or a publication that you would like to feature in an issue of the Roma e-news, please feel free to send me the information at anne-sophie.wislocki@eurodiaconia.org. Eurodiaconia has written a policy paper on social rights for Roma as well as a briefing for our members which explains how to get involved in Eurodiaconia’s Roma work as well as how to use the policy paper.